Glo Ghana has new Free browsing and this works without the help of any VPN, this is a loophole on their system and it can be rectified anytime from now. It will be wise to enjoy this Glo Ghana Free Browsing 2019 in Ghana For March/April while it lasts. 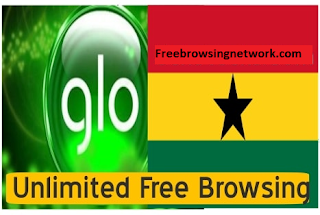 It's has been long freebrowsingnetwork.com updated Ghanaian's with Free Internet update, so today, I have remembered you guys and will very much focus my attention on Ghanaians Free browsing for MTN, Glo and Vodafone. New Glo SIM | Free Internet for Glo. > Glo Portal and Select Unlimited Plan, Click Buy (With No Airtime), it will purchase. > Check Data using *555# > select 7. 2 Comment On "Latest Glo Unlimited Free Browsing Cheat In Ghana 2019"
I can see the bundle but am not able to access the internet. What should I do pls?